Family Research + Found Cousins = Fun! I love “new” cousins! I especially love new cousins pursuing their family’s genealogy/history. They’re like gold to me – and should be to you as well. 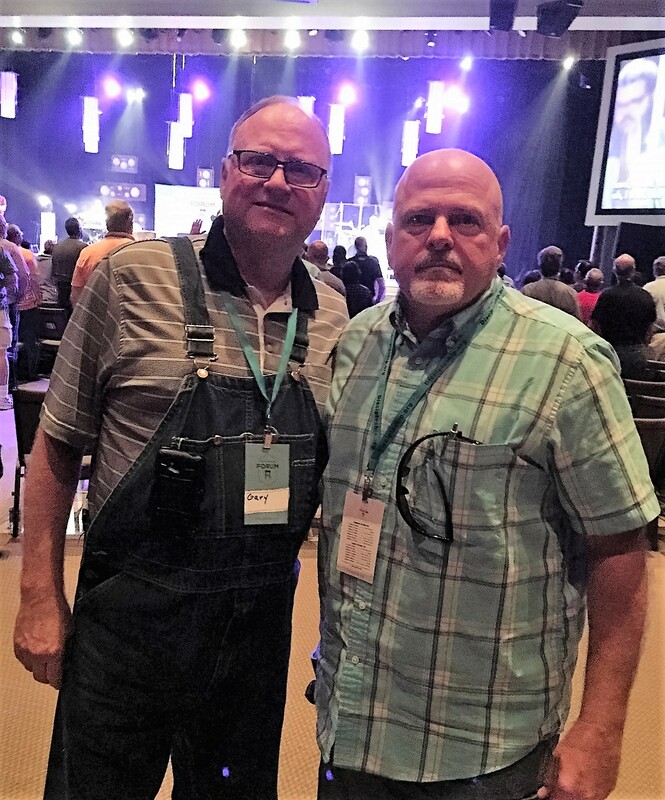 Last week my friend Bill Wright and I were in middle Tennessee attending a non-genealogical conference. This small detail didn’t keep me from sneaking into Williamson County after the conference and spending last Saturday doing family research. I planned half a day in the archives and half a day with cousins. Don’t you love it when a plan comes together? What do you need to further your research? Are any of these records available? What records are housed in the county and where? Are they available on the day(s) you will be there? What time will the records be available to view? Does the repository have an online index? Search capabilities? Are you allowed to take photos? Make copies? What’s the cost? Once you’ve decided to go, ask yourself IF you want to spend time with “new” cousins. If yes, contact them to check their availability and arrange times and places. Pack your “research bag” with all your tools and don’t forget to take it! 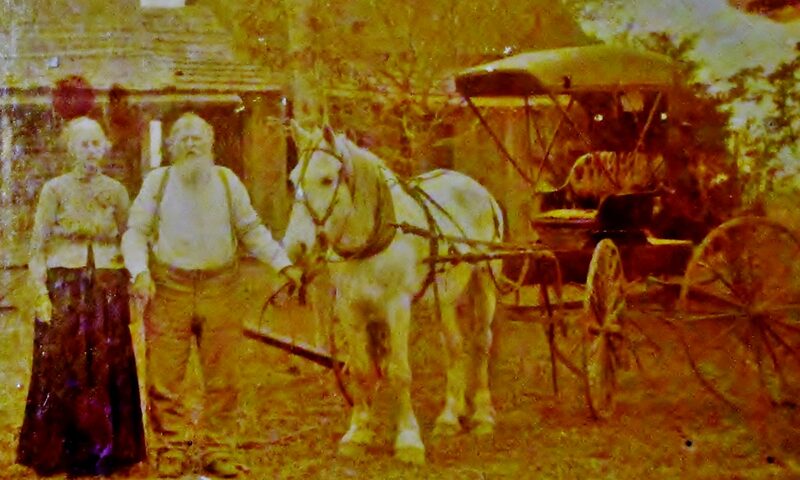 The Williamson County, Tennessee Archives are a tremendous resource for families researching middle Tennessee ancestors. It’s located in Franklin. This was my second visit. When my wife and I visited in 2013 I was only aware of my Roberts and Giles lines in the county. I’ve since discovered my Neelly (Neely), Nichols, Sammons, Smithsons, Tatum, and possibly Rivers lines in the county. Using the Archives online search capabilities, I was able to locate around ninety documents available on microfilm of interest to me. There’s no way I would be able to view or collect them all in half a day. I prioritized them, printed out a list and put it in my bag. I contacted two of my cousins from two different family lines and asked about their availability to meet Saturday afternoon and evening. These are two very busy women and of course they both had plans for the day. But due to circumstances and their sheer determination, they graciously made a way for us to meet for the first time and share some family research. The bonus? 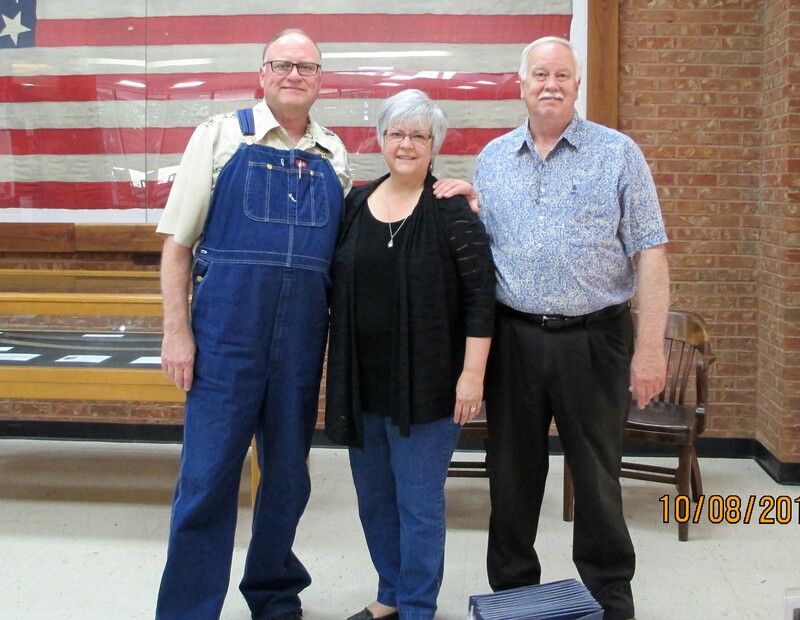 I also met some of their wonderful family members and visited three family history sites! Bill and I were at the Archives in Franklin when it opened at 8 am Saturday morning. He began to enjoy the museum housed in the building and I headed for the microfilm files. Bill would later slip away to visit the many Civil War sites in the city while I would stay focused on my list and pulling the microfilmed documents I wanted. I was able to collect just over one-third of the documents on my list. This would include over 150 printed pages and three pages of hand written notes primarily from tax documents. I specifically targeted wills and specific deeds first. Then moved on to tax records. I didn’t spend time viewing and trying to analyze them. I only viewed them long enough to know I had the right one – hit print – and kept moving. Like long-lost friends, we’d spend time together in the days to come. I packed up my bag as the noon hour approached and made a restroom stop. As I came back into the main hall of the building I was approached by a soft-spoken southern lady and asked if I was Gary. My cousin Pam Fisher and I were meeting in person for the first time in person. She’s lived in Williamson County all her life. I joke that she’s related to most of the families in the county. If you have family from Williamson County, you may be kin to Pam. 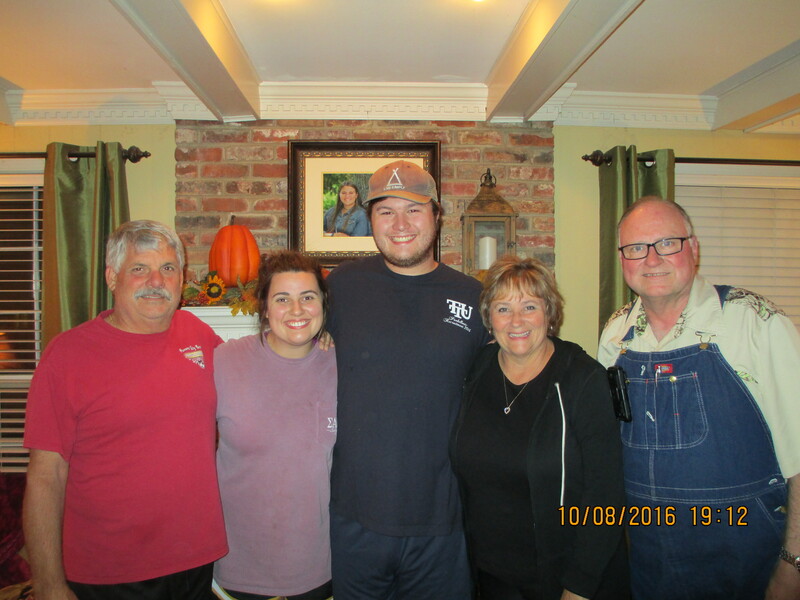 We share 3rd great-grandparents William Cleaton and Lucy Standley Giles and met online through a DNA match in November of 2015. She’s also related to my 2nd great-grandfather Roberts by his first wife who died as a young mother. Pam introduced me to her husband Gary and over lunch we discovered that he and I also share a family surname. Small world. I can’t tell you how fortunate I feel to have family in the county of my ancestors. I look forward to collaborating with them for the rest of our lives! Imagine how fun it was to share a meal with Gary and Pam and a waitress they’ve known for over twenty years! Now that’s what I call service – and great food. Thanks guys for including me in your lives. Gary and Pam lead tours to Israel. If you’re interested in booking a tour, let me know and I’ll connect you with them. The Fishers dropped me back at the Archives just in time to meet – again for the first time – my cousin Janice Mills. 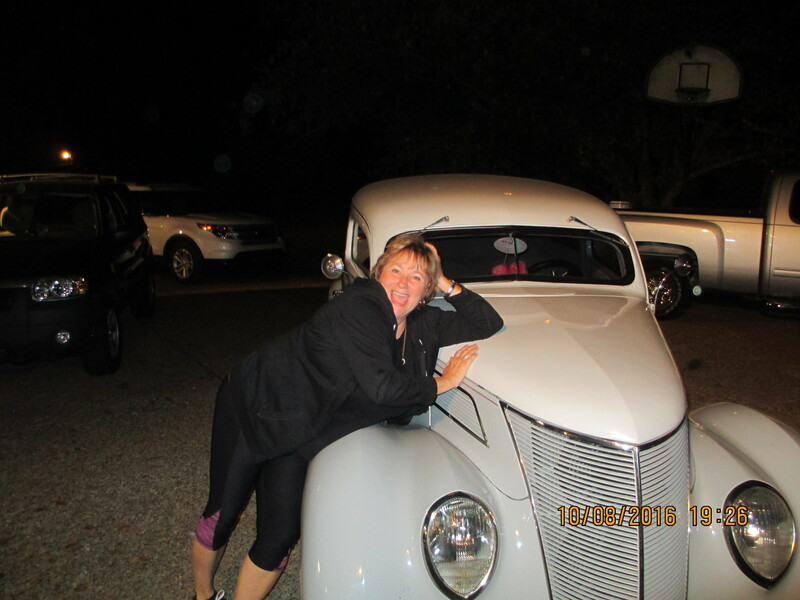 She and some of her family had just wrapped up a yard/garage sale to clear out space for a classic car. We met the rest of them at a wonderful New York style Italian eatery. I really enjoyed meeting husband Denny, daughter Kelly and Kelly’s friend David. 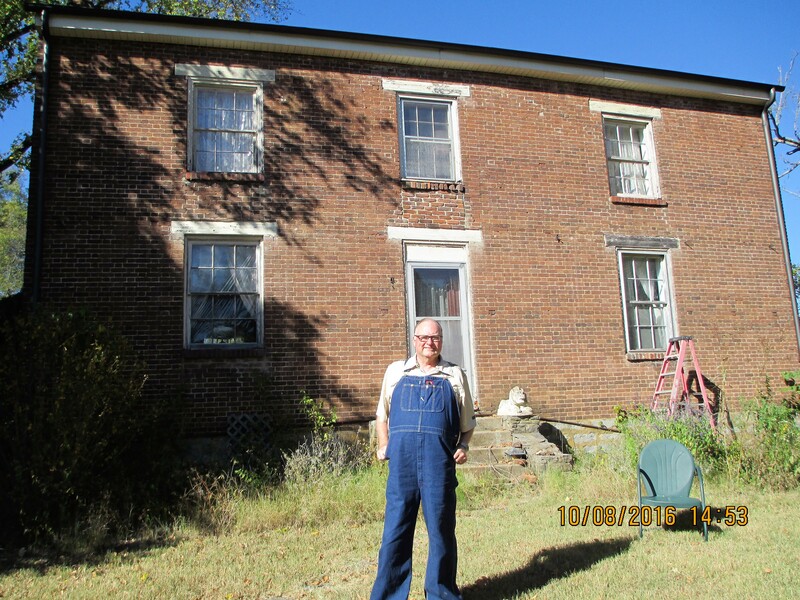 Janice soon had me back in the car and headed south to see the house of our 5th great-grandfather John Ian Neely and his wife Suzanne Griffith Evans. They built the Federal style home in 1813 on the Columbia Pike between Franklin and Columbia, TN. I’ve blogged about it in the past. It’s listed on the National Register of Historic Places. Janice took a picture back then and sent it to me before I wrote about it, but this would be our first time to walk the property. We were particularly interested in the rumor of a cemetery surrounded by a rock wall that no longer stood. The owners were welcoming and informative. They’d lived on property for forty-four years! They were not aware of any cemetery surrounded by a rock wall but told us about a cemetery on the original property less than a mile from the house. We found the cemetery (A funny story for another day). We found grave stones with the family surnames of others who had lived in the Neely house but no stones with the name Neely clearly etched on them. Janice plans to do further research to confirm if this is the original Neely cemetery. I always enjoy walking the land of an ancestor. Our footsteps meet for a moment in time with the hope we’ll spend eternity together someday. Thank you Janice for taking time to carry me to this special place in Williamson County. Like a flash Janice whisked me away to a subdivision near where she lives. I had heard about this place and seen pictures of it online but this was my first visit. Here among ranch-style houses on nice sized lots we parked in a driveway. We weren’t here to visit the owner or his neighbors. We were here to visit the cemetery in their back yards! Tucked up under a tree in the back right corner was the final resting place of our 4th great-grandparents Thomas and Elizabeth Gibson Blackwell. The Blackwell’s son William, said to be one of the first physicians in Williamson County, is also buried here along with a few other family members and according to the property owner/caretaker about five beloved pets. This land also once felt the fall of ancestors’ footsteps. What a privilege for me to walk it as well. 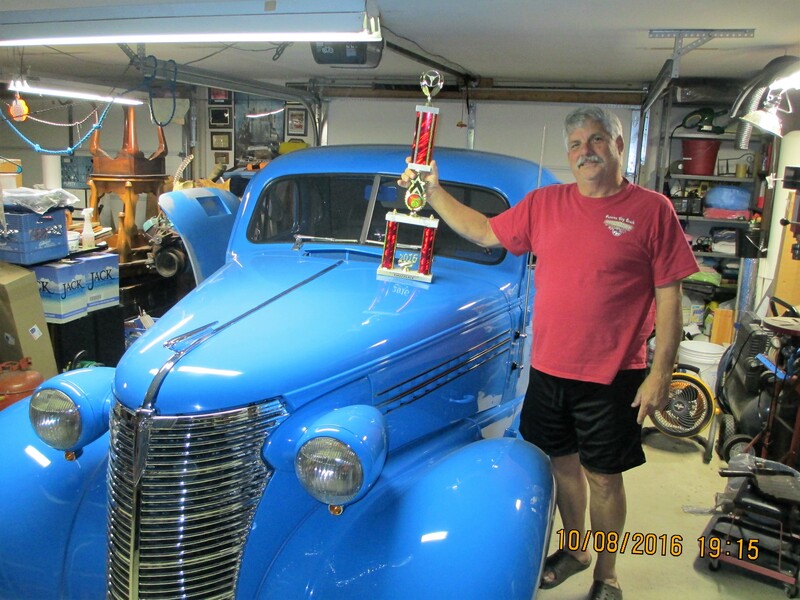 Dennis Mills classic car and trophy from the previous weekend. Janice and I actually met online this past March through Find a Grave. She wasn’t raised in the county and isn’t kin to as many people as Pam, but I think she knows most of the people. She met many of them serving for years as a school board member. We share a rich heritage in the county through our Neely, Blackwell and Gibson families. Now that Janice is retired, she has more time for genealogy. She’s full of life and lives it to the fullest. She and her family were fun and funny. I enjoyed their hospitality. I can’t wait to go back. 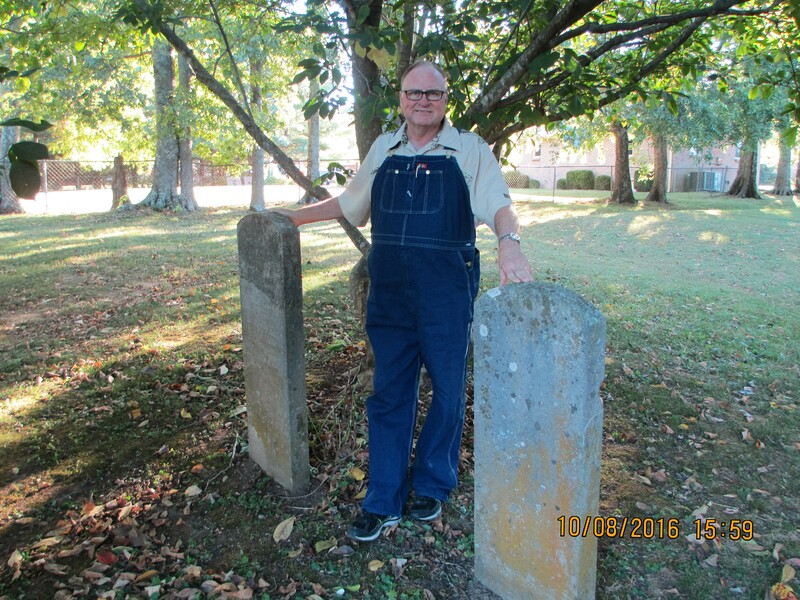 When my wife Dee and I visited the Williamson County Archives in 2013, I found a deed abstract for some land on McCrory Creek between my 3rd great-grandfather John Roberts and Jesse Weathers in the year 1811. Names were mentioned but like many genealogical abstracts, specific points and measurements were not given. When I searched for a copy of the original I was disappointed to find it missing from the records. I learned through others that this land was part of a land grant given to James Moore. He was a Major General in the Revolutionary War and granted for his service 12,000 acres of land in today’s Williamson County. That’s a lot of land in which to find my ancestors small parcel. Why was it so important to me? I believe this is the most likely burial site for my 3 x great-grandparents John and Rebecca Sammons Roberts. While in the Archives last week I located and obtained a copy of an original deed which until then I had only had an abstract. This was one of my top “targets” for this most recent trip to the Archives. It was a deed gift from John Roberts Sr. to his son John Roberts Jr. in 1823. It was made not long before Senior died. He also gave a deed gift to his daughter Frances “Fanny” Roberts who would marry Alfred G. Tatum in 1824 within three months following her father’s death. Based on later records, I believe these two children would assume the principle care of their mother and the original property. These two deeds together described the property owned by John and Rebecca Roberts on the “headwaters of McCrory Creek”. I found more records of James Moore, while living in Washington County, TN, assigning land to many people in Williamson County. One of those men was Samuel Jackson, a distant cousin of General Andrew Jackson. The cousins would later have a dispute over land and Andrew would run Samuel through with a cane sword. (Another story for another time) I was then able to find a copy of an original deed between Samuel Jackson and Jesse Weathers from 1806. Does that name sound familiar? Based on the physical description of the land from the two gift deeds to the Roberts children and the description of the 1806 deed between Jackson and Weathers, I believe these two properties are the same property. I do love it when a plan comes together. I’m prepared now to work my way forward through the deed records with the hopes of finding the exact location of this parcel of land in today’s records. These few deeds represent a small sampling of the documents I collected from my half day in the Archives. I left feeling thoroughly blessed. Plan your work. Work your plan. This post represents a very small expression of my appreciation for “new” cousins and the fun I had with the Fishers and Mills. I’ve told you only a small part of it. Some because of time and space and some because my cousin Janice said, “Remember Gary, what happens in Franklin stays in Franklin!” I can’t wait to get back. Janice Mills with Denny’s other classic. Just met Pam Fisher on ancestry and she provided this link to your blog. I met her as a result of correcting the date of death for a cousin killed in the battle of perryville, ky. I live in Indiana. Mom is a Roberts. GPA from Calloway County KY. And know they go back through Williamson County TN, but that’s about as far as I’ve been able to go. Any help you can provide would be appreciated. I’ve been to the archives in Franklin before during the 150th battle reenactment, had know idea I had such roots there. Julian, I’m so glad to “meet” you. If your mother was a Roberts from Calloway, KY through Williamson, TN we are most likely related. We need to talk. Could you share your contact information by sending it to my email: forseekers@gmail.com I’m out of town for a few days but when I return I want to visit with you. Thanks for reading the blog and thanks for contacting me. Previous PostPrevious We Were Mentioned on Geneabloggers!